What do you do with dogs when you don’t go to dog shows? 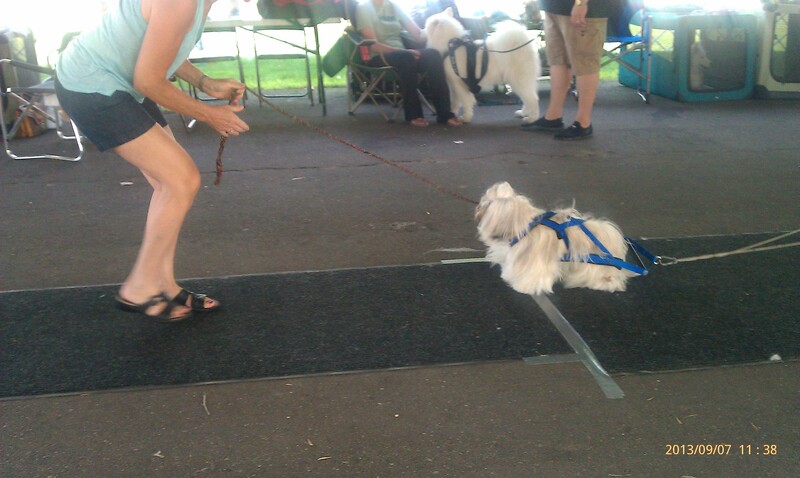 Ricki just passed his canine good citizen test and attached is a picture of Payton doing weight pulling. She did awesome, pulled the wagon 2 times with no issues. 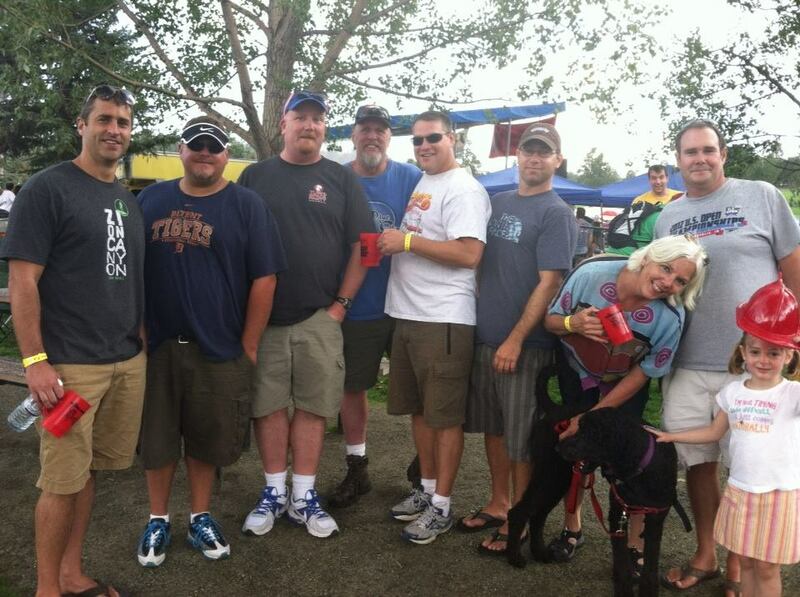 That’s me with Plume and mostly a bunch of swim coaches. What an enchanted life. So much fun!